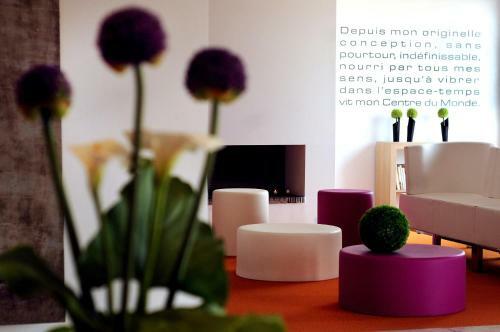 Set on the Corniche and opposite the Criques de Porteils Grand Hotel Du Golfe is an art design hotel dating from the 1970's just 5 minutes' walk from the creeks and 10 minutes' walk from Racou Beach. Argelès-sur-Mer is 1.5 km away. Each air-conditioned room has sea views and some feature a balcony. 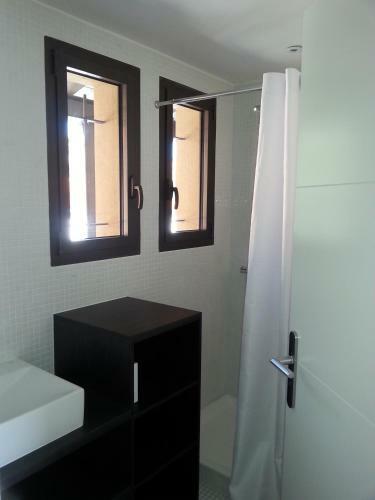 All of the modern guest rooms are soundproofed and include an LCD TV a telephone a hairdryer free WiFi and a minibar. A buffet breakfast is prepared every morning at the Grand Hotel Du Golfe. Le bistrot à la mer the onsite restaurant proposes creative meals using fresh regional produce. Guests can enjoy a drink in the hotel lounge bar or on the terrace weather permitting. Guests can enjoy the Wellness Centre with its view over the Mediterranean sea and the vineyards. Features include body treatments a hammam and a 19-metre heated outdoor pool with a solarium. There is also a Mediterranean garden and the property can organise Languedoc Roussillon wine testing on request. 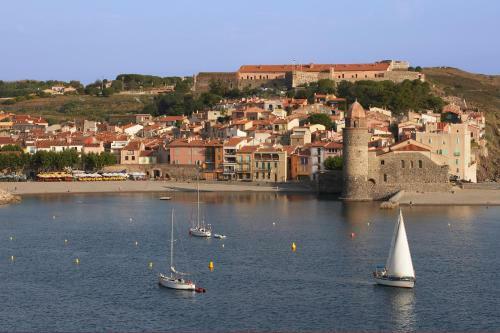 The historic town of Collioure is 2 km from Grand Hotel Du Golfe and free private parking is available on site. The Spanish border is 25 km away.